Five perfectly matched dazzling white diamonds, held within a refined trellis setting. 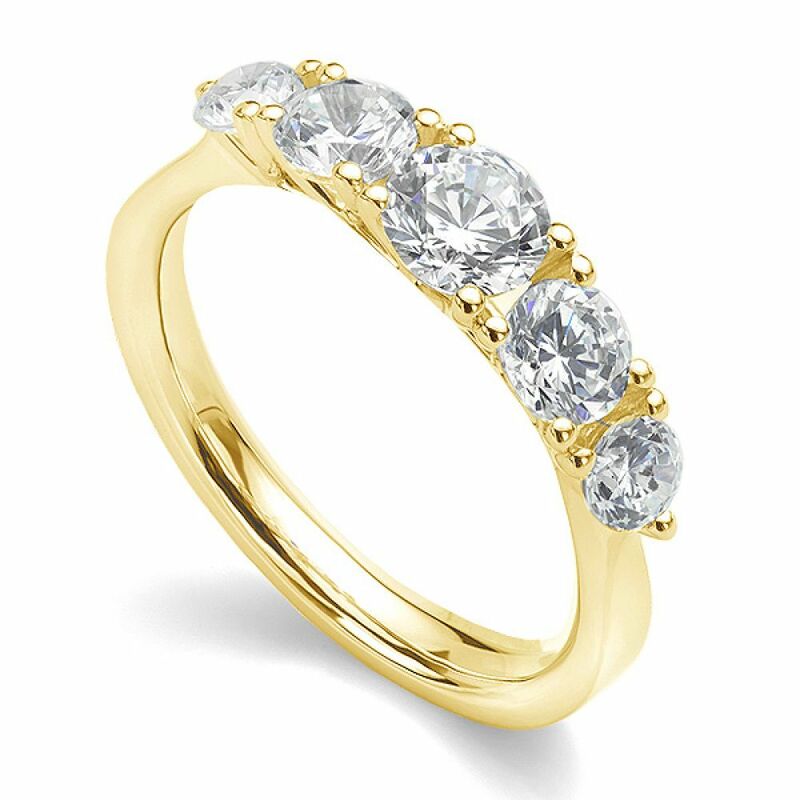 This five stone ring design boasts breathtaking design and dazzling brilliance in a wide choice of precious metals. Cersei shown in the 1 carat version of the design. The Cersei Engagement Ring features a five stone trellis styled setting, weaving below five beautifully graduated Diamonds. 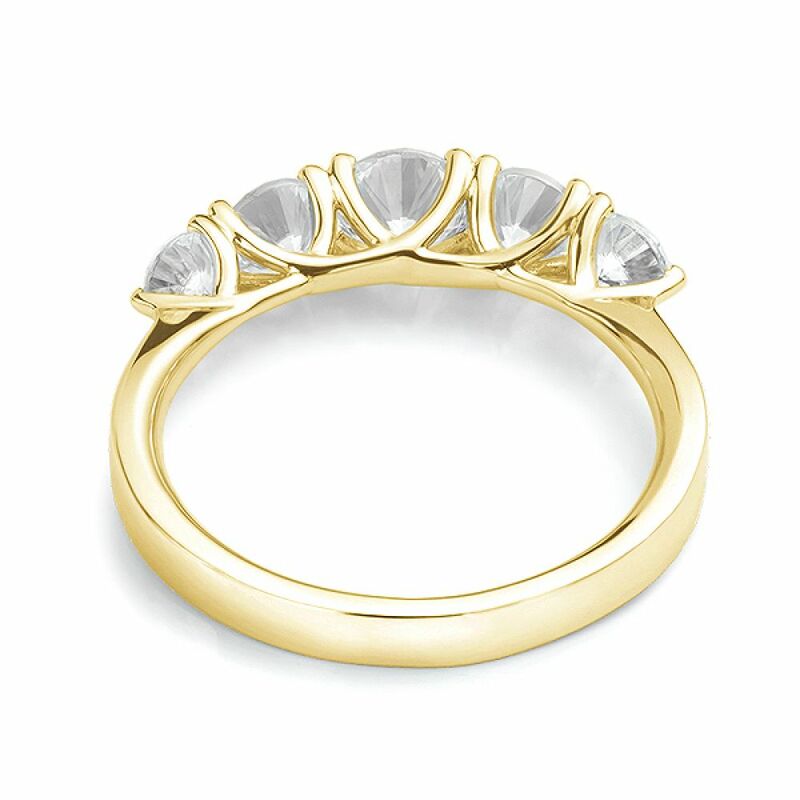 From the largest central Diamond, each stone steps down in size, supported by four claws towards a final single claw above tapering shoulders. Benefitting from a comfortable 2.5mm court shaped band, this design offers uncompromising beauty, elegant styling and a wide range of options for full personalisation. Each commission guarantees dazzling brilliance from white, eye clean Diamonds (G Colour SI1 Clarity) with assured very good cut grade. Your ring will be beautifully boxed and packaged in time for the perfect moment—hand delivered by secure courier to your door. Showing the 1.50cts version of the diamond trellis ring, boxed and ready for proposal. We have a range of options for matching wedding rings and a selection of diamond options varying by overall carat weight. We have included a guide below for each diamond option. Total carat weight 0.50cts — 1 x 4mm diameter diamond. 2 x 3mm diameter diamonds. 2 x 2mm diameter outer diamonds. Total carat weight 0.75cts — 1 x 4.5mm diameter diamond. 2 x 3.5mm diameter diamonds. 2 x 2.5mm diameter outer diamonds. Total carat weight 1.00cts — 1 x 4.7mm diameter diamond. 2 x 3.75mm diameter diamonds. 2 x 3.0mm diameter outer diamonds. Total carat weight 1.25cts — 1 x 5.0mm diameter diamond. 2 x 4.0mm diameter diamonds. 2 x 3.25mm diameter outer diamonds. Total carat weight 1.50cts — 1 x 5.4mm diameter diamond. 2 x 4.2mm diameter diamonds. 2 x 3.25mm diameter outer diamonds. Total carat weight 2.25cts — 1 x 6mm diameter diamond. 2 x 5mm diameter diamonds. 2 x 4mm diameter outer diamonds. All diamonds 4.5mm and above will be provided with laboratory certified diamonds, G colour SI1 clarity with a minimum very good cut grade. 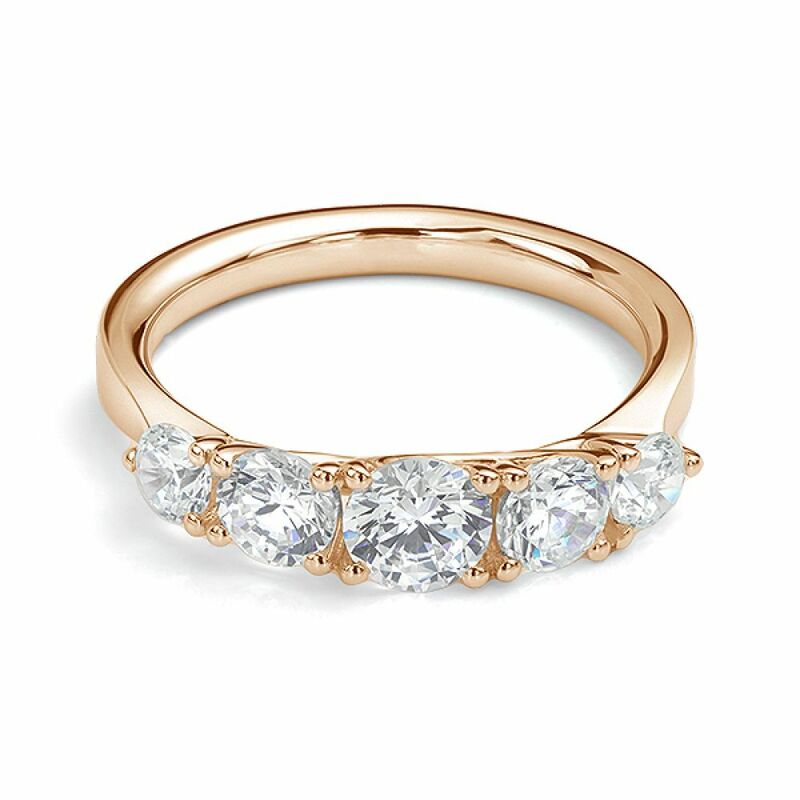 Smaller diamonds will be matched by cut, colour and clarity and recorded on the accompanying valuation for insurance with each purchase.